London-based watch brand Uniform Wares has welcomed a new addition to its “classically inspired” C-Line range: the C40. Two years in the making, the Swiss-made 40mm day-date dress watch comes in three distinct metal options – brushed steel, polished steel and rose gold – each able to be paired with five different strap or bracelet options. All the signature features of a Uniform Wares watch are present – including the large, open dials, long hands and bold batons – while the slimline proportions allow for a close fit and easy wear under formal shirt and blazer sleeves. The C40 also plays host to a domed sapphire crystal lens with an anti-reflective coating and 11. calibre ETA movement, ensuring “reliability, longevity and accuracy”, according to the brand. 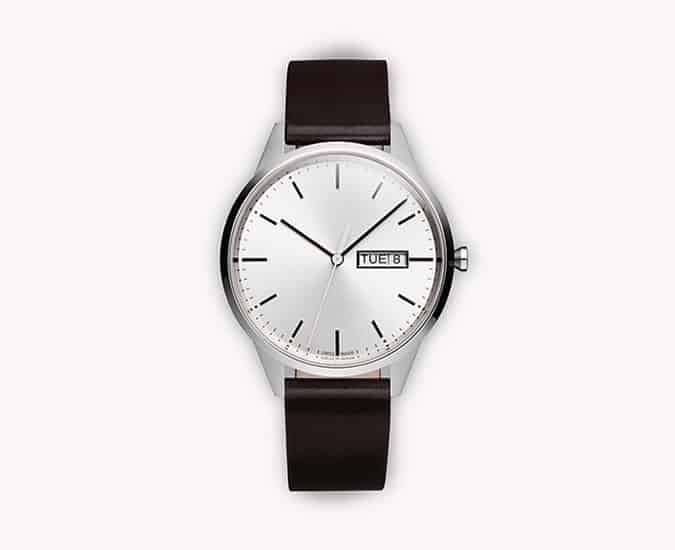 The Uniform Wares C40 watch is available now at uniformwares.com, priced between £550 and £880. Five interchangeable strap options, including Milanese mesh and cordovan leather, are also available online, with free UK next day delivery as standard.